Mobile VR is here. 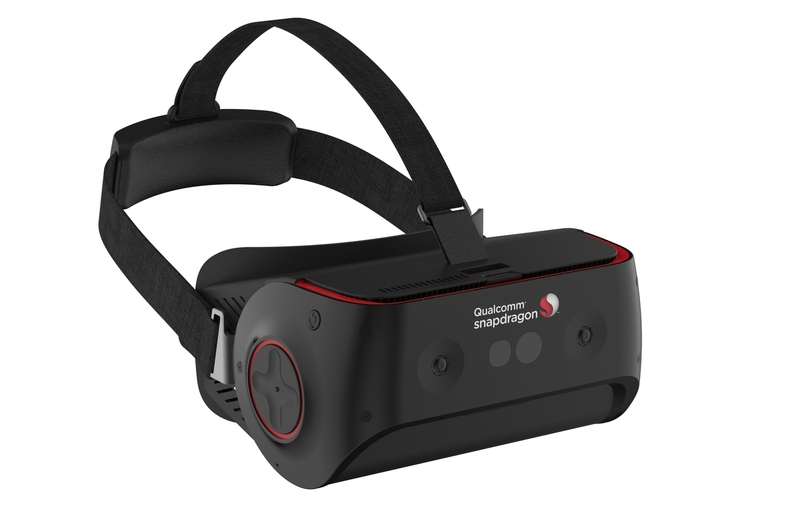 With a new category of standalone VR devices on shelves, the Qualcomm® Snapdragon™ 845 VR development kit is designed to help software developers create immersive VR experiences. The Snapdragon 845 VR development kit is a standalone all-in-one VR headset with a Wide Quad HD (WQHD) AMOLED head mounted display (HMD) with an integrated Snapdragon 845 processor. It includes dual front-facing cameras for six degrees of freedom (6DoF) room scale head tracking and eye tracking. 6DoF motion tracking is done at a fast 1000Hz rate using the integrated Qualcomm® Hexagon™ DSP. This leaves the Snapdragon CPU and Qualcomm® Adreno™ GPU free for computing and graphics processing. The Snapdragon 845 VR development kit is here to help create a truly mobile VR experience. Qualcomm Snapdragon, Qualcomm Adreno and Qualcomm Hexagon are products of Qualcomm Technologies, Inc. and/or its subsidiaries.